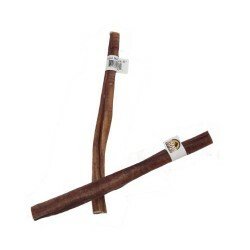 We are offering the best (non stink) Beef Pizzle available, anywhere. 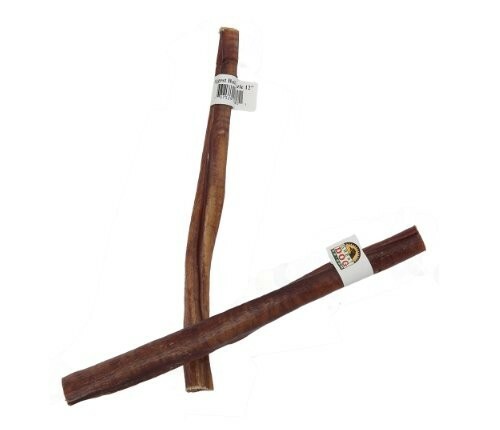 The reason that some bully sticks smell is because they have bacteria in them. Our bully sticks are processed right here in our plant and there is NO bacteria in our sticks which translates into NO SMELL. Sourced locally, these animals are processed in a plant made to handle the "The Big Ones"
USDA inspected and slow cooked without preservatives, or irradiation. Average weight per stick is 3.46oz. This is the best looking 12" non stink USA Bully Stick on the planet. Free shipping for orders over $450 within the contiguous U.S.